Based on his stats from the past 30 days, he is currently ranked 25th with 271.5 total points (3.48 avg). His average points in the past two weeks have increased by 3 PPG. 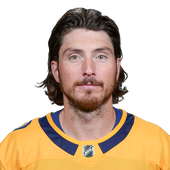 Top 25 in goals with 4 and is currently ranked 23rd among C.
Top 6 in assists with 9 and is currently ranked 6th among C.
Top 10 in +/- with 5 and is currently ranked 7th among C.
Top 50 in shots on goal with 19 and is currently ranked 46th among C.
Top 75 in time on ice with 16:30:32.7272, though that isn't saying much, and is currently ranked 63rd among C.
Top 75 in blocked shots with 4, though that isn't saying much, and is currently ranked 58th among C.
Top 13 in powerplay goals with 1 and is currently ranked 13th among C.
Top 22 in faceoffs won with 93 and is currently ranked 20th among C.
Ranked 95th in hits with 4. Played in 78 more games this year than last year. Based on his stats from the past 30 days, he is currently ranked 46th with 190.5 total points (2.44 avg). Slight decline in numbers lately at 2.4 PPG. Top 35 in goals with 3 and is currently ranked 27th among C.
Top 50 in assists with 4 and is currently ranked 43rd among C.
Ranked 68th in +/- with 1. 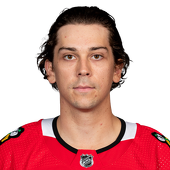 Top 75 in shots on goal with 14, though that isn't saying much, and is currently ranked 66th among C.
Top 75 in time on ice with 16:25:00.0000, though that isn't saying much, and is currently ranked 67th among C.
Top 75 in total penalty minutes with 2, though that isn't saying much, and is currently ranked 65th among C.
Top 75 in blocked shots with 3, though that isn't saying much, and is currently ranked 75th among C.
Top 35 in powerplay assists with 1 and is currently ranked 32nd among C.
Ranked 105th in faceoffs won with 24.